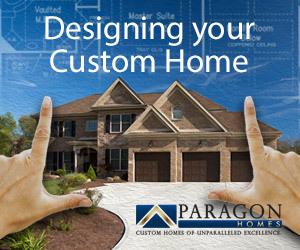 Your custom home will be one-of-a-kind. But you don’t have to start with a blank piece of paper and a pencil. Looking at floor plans — scaled drawings of rooms or whole buildings as seen from above — is a good place to begin the design process. And you don’t have to be an architect to understand them. Walking through model homes can help you decide what you want in your new house. But if you get too excited looking at the model home’s hardwood flooring, window treatments and other staging decor, you might accidentally ignore the layout and flow of rooms. A good home builder can add the same finishes to just about any floor plan, so design a floor plan for function and then discuss finishes. If you don’t pay attention to the home’s layout, when you are living there later you might wish the master bedroom looked out over a different side of the house. Having these discussions with your builder at the beginning of the process can save lots of time and money later, and any good builder should be able to accommodate custom designs. You don’t need to grab a piece of graph paper or download a computer drawing program to get started with your custom home design. 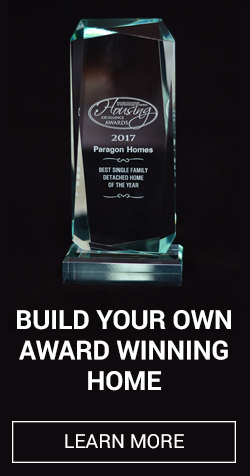 Even with a truly unique custom home project, there is no need to start from scratch. Check with your builder to see what floor plans they can show you. Once you find a general floor plan that appeals to you, you can work with your builder or their architect to make changes. Architectural renderings include small details and notations that might make no sense to an untrained eye, but your builder or architect can help you understand them. The big things to look for are size of each room and the placement of doors, stairways and walls. Make sure you actually measure your furniture to figure out if rooms will be big enough for the furniture and a group of people, especially if you like to entertain. Keep safety of young children in mind if the floor plan contains interior loft spaces or large staircases, and imagine your family using the kitchen and moving through the spaces as you look at the plans. Floor plans will tell a builder where to place wiring and other infrastructure, which direction doors will swing and other detailed information. So the more information that’s included in the drawings the better. A detailed design can reduce misunderstandings and make your house project move more quickly. So taking the time to read different floor plans and give each of them a mental “walk through” is a solid place to start when you are designing your own home.